It’s the weekend. We need to chill, have some down time, take a siesta, unwind, relax…you get the idea. So how do we do that when there are so many things that have to be done? How do we re-charge our batteries when we feel pulled in so many directions? I know, I know. You think it’s my answer to everything. Well, it almost is. Remember when I had you pull out your timer and pick two jobs that needed to be done? Then I had you set your timer, work on Job #1 and then go to Job #2 when the timer went off? Click here if you need a reminder. This is kind of like that. But it involves taking a break. Tip #3: Take a break. Pick 2 things to do. One of them needs to be some type of job: cleaning, bills, filing, etc. But the other one has to be something you WANT to do. I don’t care what it is. A hobby, a nap, a phone call with a friend, whatever. But something that’s enjoyable to you. Set your timer for 10, 15 or 20 minutes and work on your job. When the timer goes off, STOP! 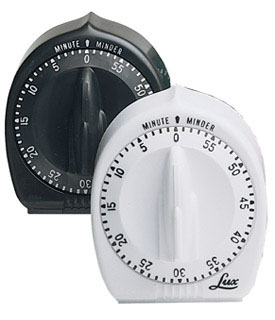 Reset your timer for the same amount of time and go do your thing, your enjoyable, beautiful thing. When the timer goes off, go back to your job. Repeat and just pay attention to what happens. You will begin to feel happier. You will feel energized. You will feel just plain ‘ole good. You’ll remember what it felt like to spend some time on yourself, finish projects AND, you’ll be getting work done at the same time. No one’s going to bang down your door and tell you to get back to work. You’re not breaking any laws. But it might feel like it at first. You might feel a little guilty. This is normal and it will pass. Then it will be replaced with happy feelings. And don’t we all need a bit more happiness in this world? This entry was posted in Organizing and tagged relaxing, timer. Bookmark the permalink.